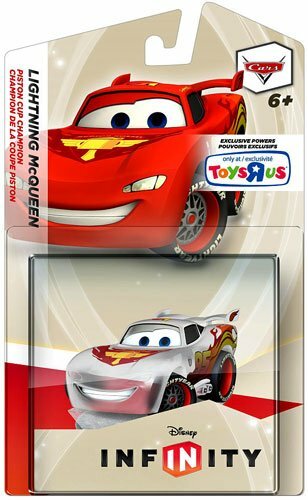 Enter to win a Toys R Us exclusive Crystal Lightning McQueen figure! Snow White get my vote.. need another girl! I want a Lewis/Cornelius Robinson! Cinderella. There aren't enough princesses. Some classic characters would be cool! Meet the Robinson's or Mary Poppins! They need to make the Fab five, MIckey, Minnie, Donald, Pluto, Goofy! Mulan, Merida from Brave, and Rapunzel. They should come out with one of Maleficent. I'd love to see a classic Mikey, Donald and Goofey come out as a pack. Also I'd love for them to bring out a Gravity Falls pack with Dipper, Mable, and Gruncle Stan, that would be a blash to explore I think. Also I'd love to see Princess Tiana! My niece is going through the fairy phase. So she would love the fairies. Tinkerbell and her friends.